Carole Marsh Mysteries, 9780635016645, 147pp. A surprise Christmas treat of a private tour of the White House soon turns into a harrowing adventure during a blizzard of snow and clues that lead them directly to the Oval Office as four real kids solve a scary, but funny mystery Renaissance Learning, Inc now has Accelerated Reader quizzes for all of the Carole Marsh Mysteries To visit their website, click here. 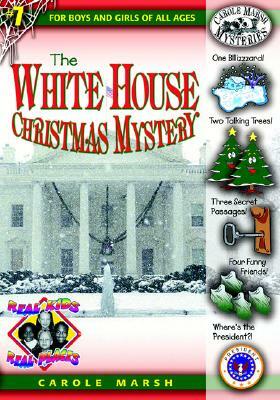 The White House Christmas Mystery is recommended by Sylvan Learning's Book Adventure reading program. Book Adventure is a FREE reading motivation program for children in grades K-8. Sylvan Learning is the leading provider of tutoring and supplemental education services to students of all ages.